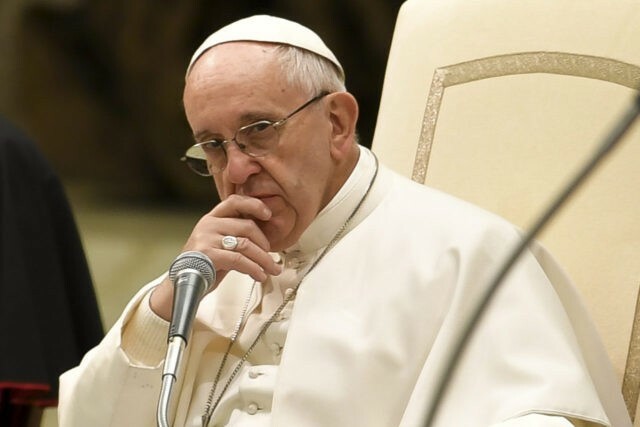 Pope Francis has appointed a philosopher to his Pontifical Academy for Life who has said the legal limit for abortion should be 18 weeks. According to a statement on the Vatican website, Professor Nigel Biggar is a professor of moral and pastoral theology at the University of Oxford in Great Britain. The pope appointed him and 49 other members to the academy that is devoted to promoting the Church’s life ethic and conducting research on bioethics and Catholic moral theology. In 2011, the U.K.’s Standpoint featured a dialogue between Biggar and Australian philosopher Peter Singer, professor of bioethics at Princeton University. The focus of the discussion was the conditions under which both abortion and euthanasia are acceptable. I also agree with Peter that it’s not clear that a human foetus is the same kind of thing as an adult or a mature human being, and therefore deserves quite the same treatment. It then becomes a question of where we draw the line, and there is no absolutely cogent reason for drawing it in one place over another. Peter’s view is that human life is only valuable if it exhibits certain qualities, and an infant before birth doesn’t have these qualities, so we can abort it — and an infant after birth doesn’t have these qualities either, so we may kill it. My view is that we should draw the line much more conservatively. This is simply because the killing of any human being is a morally hazardous business, even if it is permitted at an early foetal stage. It isn’t something that we should do casually and wantonly, and I suspect that Peter would agree with that. So I would be inclined to draw the line for abortion at 18 weeks after conception, which is roughly about the earliest time when there is some evidence of brain activity, and therefore of consciousness. In terms of maintaining a strong social commitment to preserving human life in hindered forms, and in terms of not becoming too casual about killing human life, we need to draw the line much more conservatively. In November, the Pontifical Academy for Life was the subject of controversy when Pope Francis’ choice for its president, Archbishop Vincenzo Paglia, implemented new statutes that emptied the academy of all its 172 members and also ended a requirement for new members to sign a statement in keeping with the Church’s teachings on human life. With these appointments Pope Francis has formed a College of academics of the highest professional standing that will offer to the Catholic Church and to the whole world a deep and wise vision in the service of human life, especially life that is weakest and most defenceless. The Academicians named by the Holy Father come from 27 countries around the world and are outstanding in diverse fields of human knowledge. Among them are a number of non-Catholics, either belonging to other religions and non-believers, a sign that the protection and promotion of human life knows no divisions and can be assured only through common endeavour. Five Americans are among the new members of the academy, including Carl Anderson, Supreme Knight of the Knights of Columbus, who had previously been a member.